Today is February 8 and North Korea is set to conduct a massive military celebration, a day before the Olympics start in the South. But the history of this holiday is quite an unusual one. February 8 commemorates the creation of the Korean People’s Army (KPA) in 1948. Unlike the Party or the country foundation days, this celebration does actually commemorate a real event. The armed forces of northern Korea had been around since 1945, but only in 1948 did Moscow decide that it could actually call this army an army. Its first parade was conducted on Sunday, February 8 that year. This parade, however, would go on to create significant ideological difficulties for North Korea, as it was one of the last major events in which Pyongyang used the traditional Korean flag of Great Extremes. Abolished in the North on July 10, 1948, this flag became associated exclusively with the South. 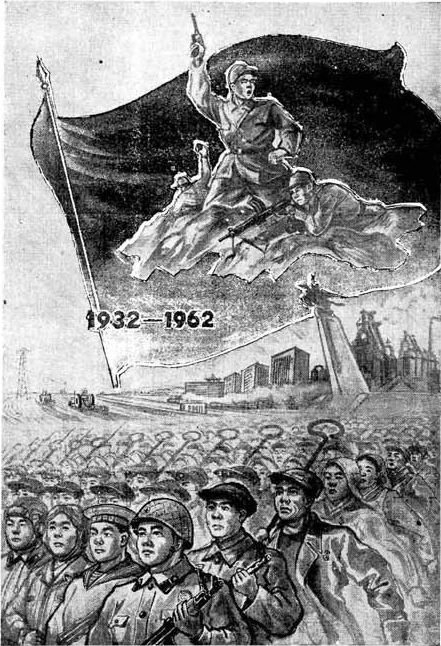 Around 1959, the DPRK began a campaign to erase this flag from history – all mentions of it being used were wiped and all photos featuring it edited. Until 1978 every February 8 was commemorated as army creation day. 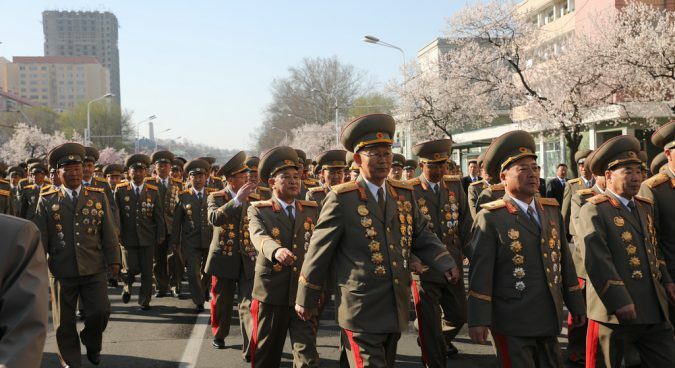 The Rodong Sinmun, and, in most cases, the army newspaper the Choson Inmingun, published a photo featuring the DPRK leadership standing in front of the Army emblem and the Leader’s portrait. Initially, there were two portraits of Stalin and Kim Il Sung, with Mao being added after the Chinese intervention in the Korean War. After Stalin’s death, his portrait was replaced first by Malenkov and then by Bulganin – interestingly, these were the politicians Pyongyang considered the leaders of the USSR before the rise of Nikita Khrushchev became apparent. After a failed coup of 1956, the tradition was changed, as Kim Il Sung portrait stood alone. In 1962, following a surge in the personality cult to commemorate Kim’s 50th anniversary, the portrait of Kim was replaced by a statue. All events were duly followed with a mandatory speech from the current Minister of National Defence (or, after 1973, Minister of People’s Armed Forces) about the great KPA going from victory to victory under the Leadership of Kim Il Sung, the Eternal Sun of the Nation. In general the celebration of February 8 had very little influence on the development of the army. Arguably, the only time it really was meaningful was in 1953, when, following the introduction of officer ranks in the KPA, Kim Il Sung and Choe Yong Gon were promoted to Marshal and Vice-Marshal the day before February 8: otherwise they would have had to appear without uniforms. Yet, in 1978, this rather innocent holiday was suddenly abolished. The newspaper further stated that the real history of the armed forces of the Korean people actually began on April 25, 1932, when Kim Il Sung founded the “Korean People’s Revolutionary Army” (KPRA). Thus, stipulated the Rodong Sinmun, the foundation day of the KPA was actually April 25, 1932. 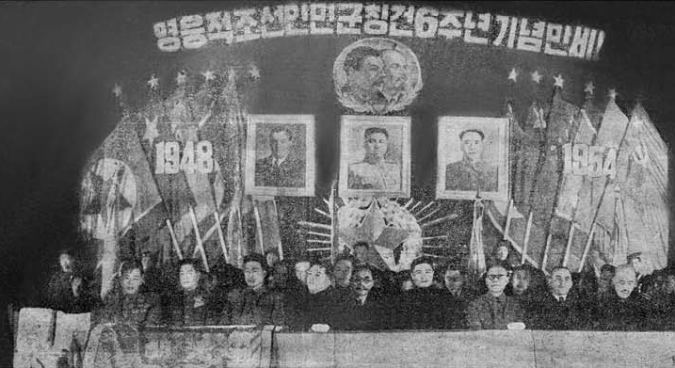 In two and a half months, celebrations were carried out in order to commemorate “the 46th anniversary of the KPA” and after 1979 no celebrations were held on February 8. The problem was, of course, that the entire story of the “Korean People’s Revolutionary Army” was a complete and utter fabrication. Kim Il Sung was a middle-ranking member of an anti-Japanese partisan movement in Manchukuo, which was led by Chinese fighters. The movement was crushed and Kim fled to the Soviet Union. This is not what they teach in North Korea, as Pyongyang claims not only that the “Korean People’s Revolutionary Army” existed, but that it was also the force which defeated Imperial Japan. 37 years have passed since the abolition of February 8. Nothing ever really suggested that this holiday would ever be revived, until in 2015 some South Korean media reported on rumors that the DPRK was going to change the Army Foundation Day back to February 8. 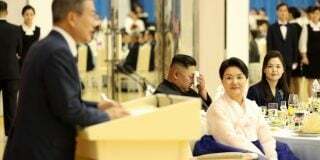 This did not happen, but as it is the case with many rumors, they were not completely groundless: in 2015 the Rodong Sinmun suddenly remembered February 8 was an important day. 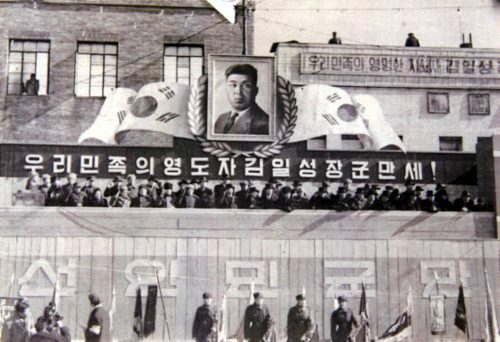 In a narrative quite similar to that of 1978, an article on the third page of the newspaper stipulated that February 8, 1948, was another groundbreaking date in the history of the Korean Army, as it was the day when the “Korean People’s Revolutionary Army” was reorganized into a proper armed force. The next year came without a celebration – the DPRK was too busy with another rocket test, while in 2017 another anniversary was duly celebrated. However, it was only in January 2018 that the DPRK has officially reinstated the February 8 as a holiday. 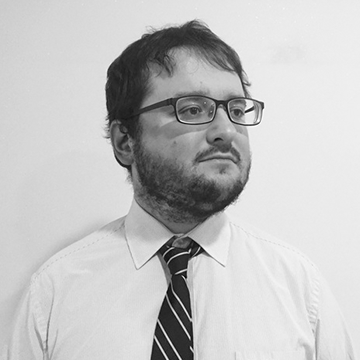 The official pseudohistorical narrative was not changed – the DPRK still claims that the February 8 was a “reorganization” of the “KPRA” into the KPA. 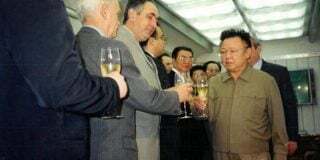 There are rumors that soon after Kim Jong Il died, Kim Jong Un called a meeting of the leadership to ask them: how can we make this country better without actually changing anything? The restoration of the holiday seems to be perfectly in line with this alleged directive. While celebrating February 8, not April 25, is much closer to the historical truth, the DPRK still reiterates that myth of the “KPRA” and the April 25 is still celebrated. In a sense, it’s more an adjustment than a reform.